The Incredible Ancient Egyptian underground Labyrinth has been found and confirmed by has been suppressed by mainstream history. It can be easily considered as one of the greatest discoveries of Ancient Egypt, yet only a few know about the existence of the incredible underground Labyrinth of Egypt, believed to hold countless answers to history itself. We have all known how unique the Pyramid of the Giza Plateau are, and we have all been extremely fascinated behind the enigmatic origin of these Pyramids, but there are places in Egypt that are equally magical and yet less known to society. This mysterious underground complex of caverns and chambers is believed to hold the secrets to mankind’s origin, it is also thought to hold sacred ancient text from the lost civilization of Atlantis. It was described by authors such as Strabo and even Herodotus who had the opportunity to visit and record the legendary labyrinth before it disappeared into history. According to writing by Herodotus I the IV century BC: the labyrinth was “situated a little above the lake of Moiris and nearly opposite to that which is called the City of Crocodiles” (‘Histories,’ Book, II, 148). According to these authors, the underground temple consists of over 3000 rooms which are filled with incredible hieroglyphs and paintings, the enigmatic underground complex is located less than 100 kilometers from Cairo at Hawara. There, in 2008 a group of researchers from Belgium and Egypt arrived to investigate the enigmatic underground complex, with the aid of ground penetrating technology which was used to study the sand in hopes of finding and solving the mystery behind the mysterious underground complex. The Belgian-Egyptian expedition was able to confirm the presence of the underground temple not far from the Pyramid of Amenemhat III. This amazing discovery has been tucked away from society and no one has been able to understand why. The results of the expedition ere published in 2008, shortly after the discovery in the scientific journal of the NRIAG and the results of the research were exchanged in a public lecture at the University of Ghent, which Media from Belgium attended. But the finding was quickly suppressed since the Secretary-General of the Supreme Council of Antiquities (Egypt) put a hold to all further communications about the discovery due to Egyptian National Security sanctions. Louis de Cordier, the lead researchers of the expedition waited patiently for two years for the Supreme Council to acknowledge the findings and make them public, regrettably it never happened. 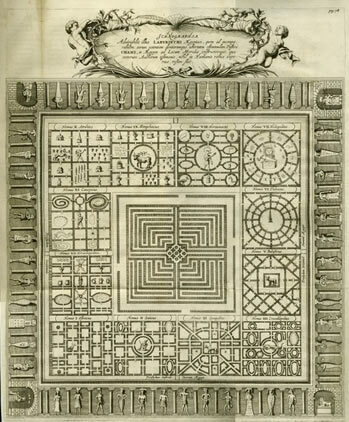 In 2010, de Cordier opened a website, Labyrinth of Egypt in order to make the discovery available to the entire world. Even though researchers have confirmed the existence of the underground complex, mayor excavations need to take place in the future in order to explore the incredible finding. It is believed that the treasures of the underground Labyrinth could hold the answers to countless historic mysteries and the ancient Egyptian civilization. The only question here is… why has this incredible and historical discovery been suppressed by governments?